Establishing remote call centers is increasingly a necessity. As operations expand, space may be limited in your primary location due to several factors. ● Budget. In areas with higher commercial rents, establishing a large call center locally may not be possible. ● Space crunch. In certain areas cities have begun to favor residential development and retail over office or industrial space. ● Lack of human resources. In an increasingly mobile job market, call center jobs may not be on the top of everyone’s list. Expanding your geographic reach to remote locations from your main office can make financial sense. Bringing training and jobs to an area with higher unemployment can also mean tax breaks and other incentives. However, keeping tabs on your employees takes more than just a good on-site management team, it takes a front to back call center solution to track, measure, and archive the information you need to run your business. Management definitely plays a part in running any remote operation from individual work from home contractors to an entire facility. 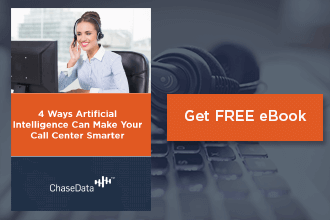 Without tools to manage agents effectively, anyone trying to operate a remote call center is signing up for chaos. You can patch together a variety of solutions or you can pick a customizable cloud-based solution that allows you to set up – and pay for – what you need for remote management. ● Call recording: Both inbound and outbound calls can be recorded and paused for the conveyance of sensitive information such as credit card account numbers and Social Security numbers. The recorded calls can be archived indefinitely. Recording a call requires a “mini Miranda” which advises that the call is being recorded for quality purposes. ● Call monitoring: Call monitoring is a management level feature which allows supervisors to monitor conversations in real time. Supervisors can also come in on the call as a third-party, or take over entirely to escalate the call or close the sale. It is also advisable to have another “mini Miranda” that advises that calls may be monitored. ● Call history: Call history can track the date and time, as well as the duration of a given call to an individual agent. You are not required to disclose that call history information is being stored and used by your company. Recording and monitoring calls in your remote call center is not as easy as simply setting up the software. The regulatory environment regarding silent third parties and call recording is regulated six ways from Sunday. Let’s take a look at the regulatory framework you’ll need to navigate before setting up call recording or monitoring. 1. Federal government agencies have a defined interest in regulating both monitoring and recording of communications. The FCC regulates all call-center recordings, but other agencies with jurisdiction include the National Security Agency (NSA), the Department of Justice (DOJ), and the Federal Bureau of Investigation (FBI). Additionally the federal court system such as the Supreme Court, Courts of Appeals, and district courts have jurisdiction. 2. State and local laws must be taken into account. Various states and localities have different requirements on how many parties must give informed consent in recording a call. 3. Different industries have different regulations that govern call-center operations including call recording and monitoring. For instance, a health industry call-center must abide by the Health Information Patient Protection Act or HIPPA to ensure that sensitive health information is kept private and safe from data breaches. 4. If you are operating outside of the United States, your call-center also falls under the laws of the individual countries where it is operating. 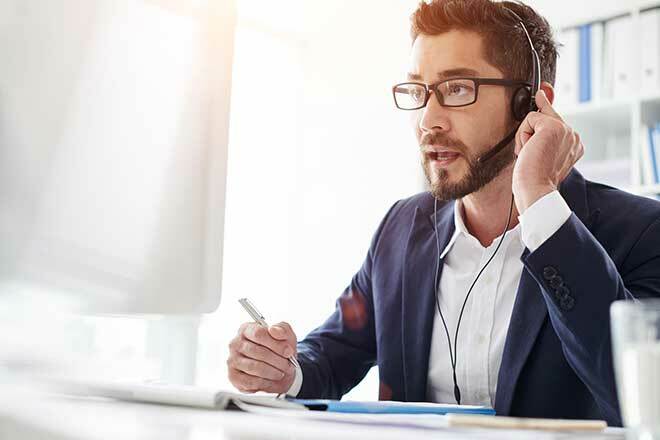 An experienced call-center software company will have built in ways to ensure that you are in compliance with the regulations wherever you are, while at the same time keeping tabs on your remote operations. Call ChaseData today and get started on having fewer headaches.